In what has to be the most high-scale marketing scavenger hunt in automotive history, and the largest of its kind to be held in Australia, Holden has hidden 101 virtual puzzle pieces that make up the first image of the new VF Commodore across the country in both physical and online locations. Interested contestants can register to help Holden build the new Commodore on the microsite www.buildthecommodore.com.au, where they will receive — upon registering — daily clues to find a piece of VF Commodore’s image that will eventually be “assembled”. Anyone who finds one of the pieces and shares it online will be entered into a drawing to win one of the first VF Commodores to roll off the production line. 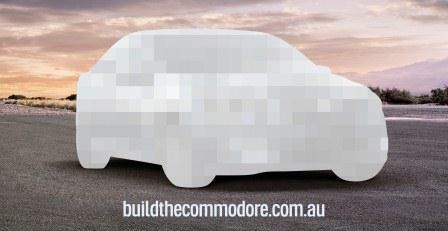 Registrations to participate in the Build The Commodore campaign opened today. The first puzzle pieces will be released on February 6, and will conclude February 10 with a live stream on Holden’s website — a pretty brief time window to collect 101 pieces. Aussies should take advantage of the opportunity. Because there might not be another new Commodore after this one. And Americans should pay attention as well, because the VF Commodore is really just a thinly veiled Chevrolet SS. Or the other way around, if you prefer to look at it that way. The old Chevy versur Ford rivalry is alive and well except in the GM corner is Holden. Trust the Aussies to find an innovative way to fan the fire. the Holden vs Ford thing has been going for decades and decades.